Home > crude > Is There Hope for Oil Price Yet? 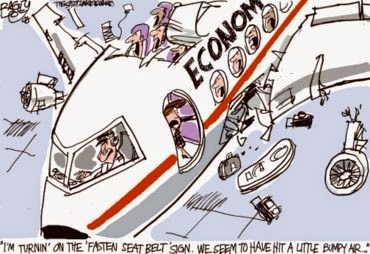 Is There Hope for Oil Price Yet? Oil futures prices are below $38 but there is a glimmer of hope in EIA’s Short-Term Energy Outlook (STEO) released today–world consumption increased in November and supply fell. OPEC did what everyone expected last week–nothing–and oil markets reacted badly. Brent futures fell 15% from $47.44 before the OPEC meeting on Friday (December 4) to $40.25 today (December 8). I have been saying that oil prices have been too high based on fundamentals and need to move lower in order for oil markets to balance. Now we may be seeing the beginnings of that trend. 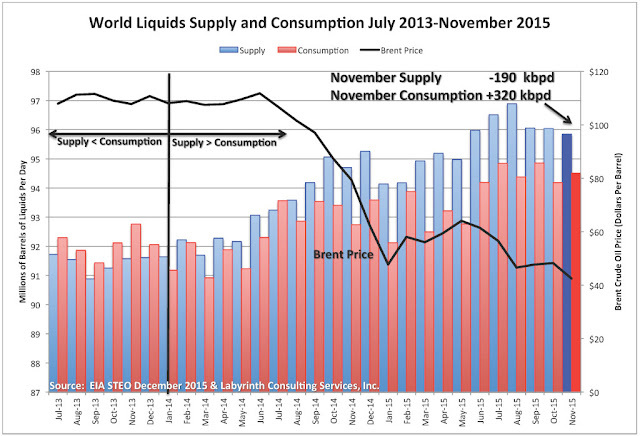 In November, world liquids supply fell 190,000 bpd and consumption increased 320,000 bpd (Figure 1). Figure 1. 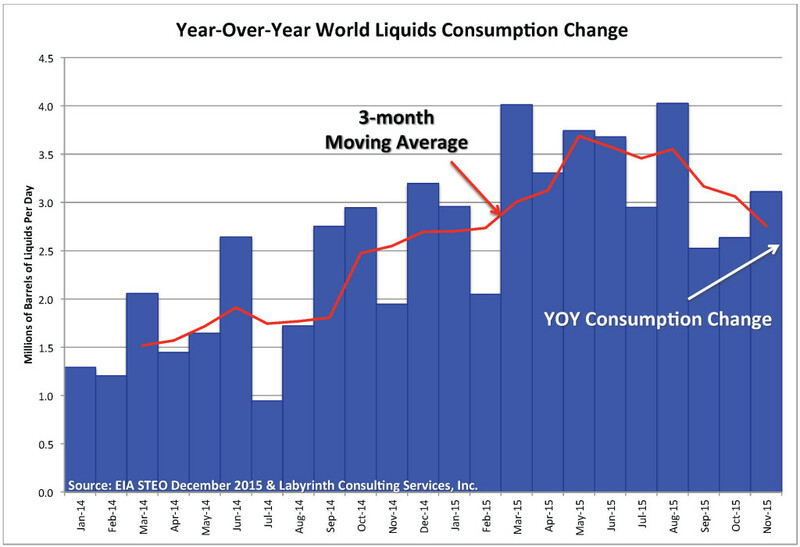 World liquids supply and consumption, July 2013-November 2015. 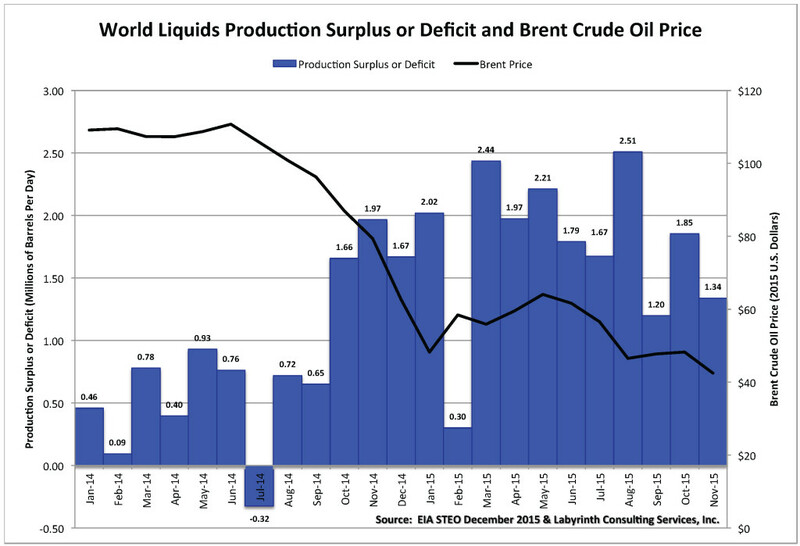 Source: EIA STEO December 2015 & Labyrinth Consulting Services, Inc.
That lowers the production surplus (supply minus consumption) to 1.34 million bpd (Figure 2) which is not great but is a big improvement–a 520,000 bpd decrease–over October and is one of the better months of 2015. Figure 2. World liquids production surplus of deficit and Brent crude oil price. 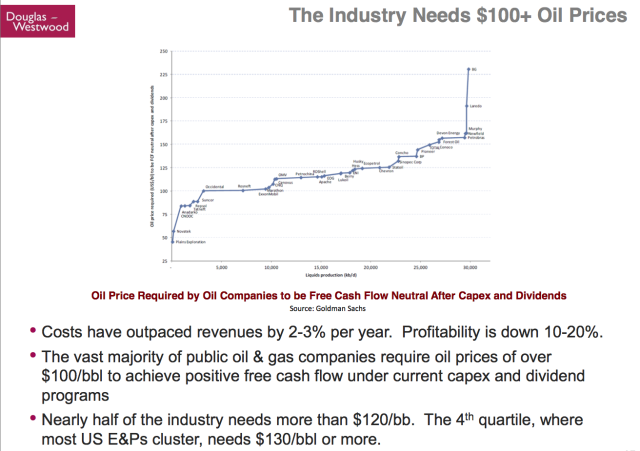 Most analysts are focused on the over-supply but I worry more about demand. Lower prices have forced producers to cut back and world production has been falling for the last 4 months. 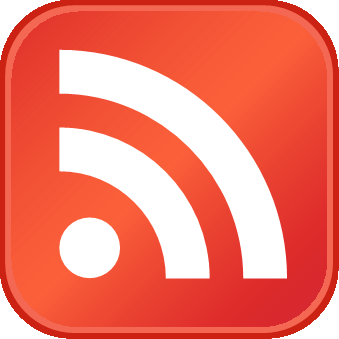 Demand is a tougher problem because people have to change their behavior and use more oil. Consumption is not the same as demand but it is a proxy and has increased year-over-year for 3 consecutive months (Figure 3) despite the medium-term downward trend (3-month moving average). Figure 3. Year-over-year world liquids consumption change.